Great marketing requires fluidity; you must be able to adapt to different trends, implement new tactics, and test out new powerful tools in order to stay ahead of the game. Consumers are constantly shifting and changing, so no matter what industry you work in or whether you’re a B2B or B2C company, you have to be continually looking towards the future. Whether you’re crushing it with your current strategy or you need some new ideas to spice things up, you should consider these latest trends when implementing your marketing strategy. Marketing is a pretty broad term; there is brand marketing, content marketing, product marketing, search marketing, the list goes on and on… That’s why we decided to split the different trends into their respective categories. Despite the many sectors of marketing, there are some trends that apply to every aspect of the marketing process. 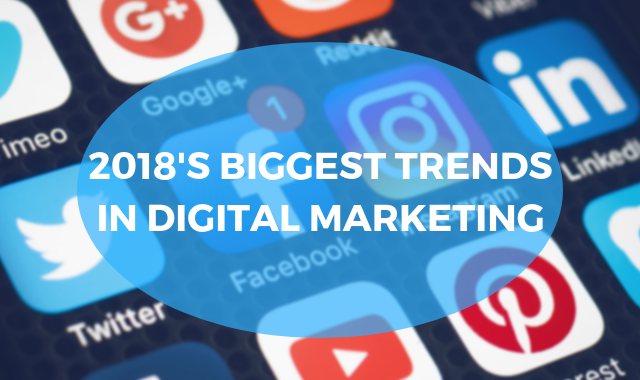 Whether you’re a social media marketer, a content marketer, or you work exclusively with SEO, these trends are something you should be paying attention to. Word-of-mouth is now, without a doubt, the single most valuable marketing tool in a merchant’s utility belt. That means the name of the game is no longer just acquiring customers – it’s creating a wonderful customer experience that influences them to be an advocate for your brand. Implement some strategies that ensure an enjoyable customer experience for all of your consumers. As the year progresses, all kinds of businesses are rolling out new blogs or investing in content-related advertisements. Why? Because statistics don’t lie: 47% of buyers viewed 3-5 pieces of content before reaching out to a sales rep and 70% of people would rather learn about new products through content rather than ads. Starting a blog is a great way to begin producing content, but in order to successfully engage with your audience, you must curate content that your audience interacts with and enjoys. Two specific types of content have reigned superior this year (so far): personalized content and bite-sized content. As machine learning capabilities increase, customers are becoming more used to one-on-one experiences. Customers want to feel singled out; they enjoy when their buying experience is customized to fit their needs and wants. Statistics back up that theory: 78% of customers say that personalized content increases their purchase intentions and studies show that personalization can increase profits by 500%. Engage customers personally at every level. Include their first and last name in emails, curate your website experience to them personally using cookies, and try to respond to them in a personal manner on social media. Collect more data. More data equals more personalization. So ask for the first and last name before they download your guide or subscribe to your monthly newsletter. That way, you have at least the beginning of a leg to stand on when it comes to curating a customer experience. Did you know that Microsoft published a study showing that people’s average attention span is 8 seconds? You need to be keying in on customer’s critical issues, questions, and concerns with bite-sized content. GIFs, tweets, and short videos are all valuable content types that grab a user’s attention quickly. Try to convey the most important information during this short time. Also, even though the content length is short, you still need to brand. Get your brand in their brains in a repetitive, consistent way. Social media has been rapidly changing this year. Instagram stories, IGTV, Facebook Stories, the list goes on and on. Social media marketing is crucial for eCommerce and can even increase sales, so make sure your platforms are up to date. Let’s take a look at where 2018 is heading when it comes to social media. Instagram stories have really changed the game when it comes to content. There is now permanent content and temporary content to pay attention to. You need to be juggling both and coming out with fresh content both ways. Ephemeral content gives you a good chance to experiment and get a little raw. It’s temporary, so don’t funnel a bunch of funds into it. Keep it light-hearted and engaging. Remember: don’t lose focus on permanent content because you are experimenting with Snapchat or stories. Permanent content is just that: permanent. That content will be out there forever, so make sure it’s engaging and successfully branding your company. Influencers have become a popular trend in modern day marketing. The process usually involves sending your products or services to an influencer, having them test out the products, and then featuring your company or products to their followers depending on the agreement. Influencers as a whole have really risen this year, but micro-influencers, in particular, have been killing it. A micro-influencer is a social media promoter with a smaller following – they aren’t technically celebrities, but many have die-hard fan bases that trust their judgment. Find people who would seem like a natural fit with your buyer’s persona. Don’t put your herbal products on the page of a competitive eater – it doesn’t make sense. The whole reason micro-influencers work is that their engagement levels are much higher than celebrities. People trust them. Make sure your products are naturally placed for the best ROI’s. SEO marketers should be used to changing up their tactics on the fly. Google’s consistent shifting of algorithm patterns has forced many merchants to learn to adapt quickly. For 2018, one of the most significant SEO trends is the growth of Voice Search. When is the last time you used Siri? Or Alexa? Or Cortana? The list of voice-based assistants continues to grow and it is now predicted that by 2020, over 50% of searches will be voice searches. SEO marketers need to adapt to the way that voice queries search, and continue building a framework that adapts to voice while being consistent on Google search. A good first step is to start doing your research on voice trends. Voice search usually uses queries that are posed as a question. Keep that in mind. This year we all saw tons of privacy rules and regulations coming out of both North America and Europe. For us in the United States, GDPR required us to adapt to new policies regarding privacy. GDPR significantly changed the nature of how we deal with online privacy. We all use data to market, so make sure that you are compliant with GDPR (even if you don’t think you sell in Europe) because the fines are high and the negative publicity that comes with it can be even worse. Those are a few of the many marketing trends we are tracking this year. If you are looking for more ways to market your eCommerce store or have questions regarding staying up to date with the latest regulations and marketing strategies, contact us today. For eCommerce businesses, eMails are still one of the primary methods of consumer engagement. Emails generate leads, pull in potential customers, create customer satisfaction pre and post-sale and create a buffer for potential customer loss. Today, there are far too many eCommerce businesses who are ignoring eMail campaigns in favor of aggressive social media strategies. We get it: social media is engaging. It’s modern, it’s sleek, but don’t let that drive to engage millennials cloud your overall sales strategy. Segmentation: Not everyone should be receiving the same eMail. This is hyper-critical, both in terms of pushing users through the sales funnel as well as generating happy customers. Poorly segmented eMails can sour customers and drive them away. Automation: Merchants cannot run a successful eMail campaign using manual eMails— it just doesn’t work. Automation services vary, but at the very least businesses need something that can send eMails out rapidly, target specific groups, and segment eMails based on dynamic data. Free ebooks and courses are still a hot commodity; they draw users in and provide value. Always make eMails personal and targeted. Finally, make sure to send eMails from the merchant’s eMail address, not a generic marketing eMail address. Now let’s analyze some of the best eMail campaigns, run some numbers, and discuss how merchants can benefit from eMail as a sales and brand-building tool. Welcome eMails aren’t just important brand-building, they are powerful sales tools. In fact, welcome eMails lead to 320% more sales than any other eMail type. Some great examples have popped up in recent years and three overall successful trends have emerged: urgency, personalization, and humor. When signing up for an eMail list, consumers expect personalization. Usually, this is done through dynamic content using the other information gathered during the eMail list sign-up. If an email list only collects eMail addresses, we would recommend using the welcoming eMail as a way to generate more data (as in, ask for more information). Over $4 trillion (yes trillion!) worth of merchandise will be abandoned this year. But don’t fret yet, Business Insider estimates that marketers could save as much as 63% of this loss through positive marketing campaigns. In fact, eMails sent only 3 or 4 hours after a customer abandons a cart see a massive 40% click-through rate. In other words, abandoned cart eMails are a great way to increase profits. Not just a small amount of gain either, we are talking about potential millions for small to medium-sized businesses. Let’s go over the sequence that produces results when it comes to abandoned cart eMail campaigns. First, remind the customer they left without completing their purchase. Consider providing an incentive such as free shipping to get them back to your site. That being said, be careful not to train the customer to always expect an incentive. You’ll teach them that it is smart to always abandon the cart. Second, if the customer has still not purchased the item, send an eMail asking why. Ask them to reply to the eMail. After all, data is knowledge and knowledge is power. The more data you have, the more successful your future marketing campaigns will be. Third, consider a discount eMail. There are positives and negatives to this campaign. It could lead to a potential sale, but it could also lead to system abuse if it’s fully automated and universal. This is a tricky one. Discounts can work successfully but they can also fail miserably and can diminish the value of a merchant’s brand. Consider the buyer’s persona and your product before deciding to send discount eMails on abandoned carts. Story series eMails are eMails that build upon and humanize the merchant’s brand. 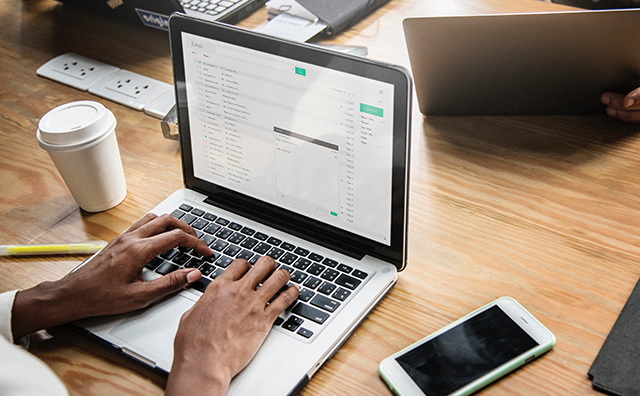 It’s unfortunate that although eMail is such a powerful marketing tool, only 7% of eMail marketers consider it part of their brand-building strategy. For customers, it can be a nice change of pace to receive eMails that aren’t just marketing related. The eMail story series is precisely what it sounds like. 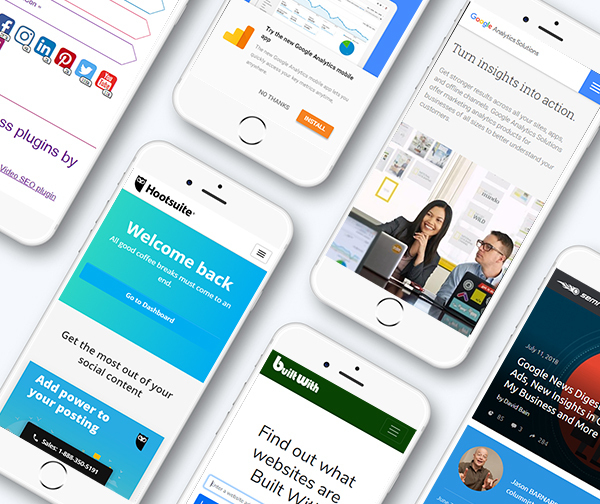 It’s a series of eMails that introduces the user to the story of your brand. There isn’t a “trick” to this one. The entire eMail series is dependent upon your story. The tone needs to reflect your identity, purpose, and company ethos. The key to creating engaging story eMails is to leave the reader craving more. End on a cliff-hanger. Make them want to read the next eMail in the series. Email is a powerful tool that every eCommerce business should be using. In order to engage users and push them down your funnel, you must be using it wisely. If you have any questions relating to eMail strategies in eCommerce or you would like to see how our eMail campaigns, SEO strategies, and eCommerce solutions can help you craft your perfect marketing strategy, contact us. 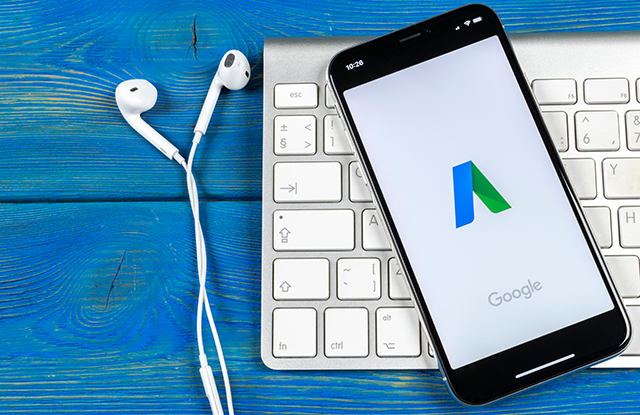 One way to improve the performance of a PPC campaign is to create intriguing Adwords copy that motivates searchers to learn more. Below we discuss five useful tips for creating better, more clickable copy. Don’t just focus on keywords. Speak to the user’s objective or pain point. Offer an answer to their search. Think strategically about how to use the space provided in the headline, ad copy, and display URL. Be sure to appeal to the searcher’s emotions and make it is clear that clicking on the ad will answer whatever question they’re asking. Put the most important information in the headlines and remember that ads display differently on mobile vs. desktop— preview ads on both device types to ensure the headliners read as desired on both views. Nearly 60 percent of all searches are made via mobile devices. Merchant ads must clearly speak to the user whether he or she is on their desktop, smartphone or tablet. Previously, advertisers could create specific mobile ads for mobile searchers. However, the new expanded text ads have no device preference. That means the same message is displayed across all types of devices. Advertisers must ensure their ads and call-to-action promos make sense and function properly regardless of the device. Google Adwords allows up to two 15-character path fields to their display URL. Include keywords in the display URL field that portray confidence the landing page will answer their question. This technique reassures the user that clicking through will get them exactly where they want to be. For example, let’s go back to the lice product illustration. In that case, the merchant might include a URL like “how-to/remove-lice” to reinforce the product promise. Additionally, include the same keywords in the actual landing page URL and page title to improve the quality score of the ad. The landing page experience needs to coincide with the ad copy, otherwise quality scores will suffer and the ad will be ineffective. Each time an ad is changed, test it out to see what’s working. Set specific goals, such as improving sales conversions or simply the click-through rate. Test and track each part of the ad’s anatomy including the headline, display URL, and description. Test one change at a time to determine what is having the most impact. The Google Adwords dashboard makes this easy by tracking clicks, impressions, cost per click (CPC), conversions, cost per conversion and user engagement. Learn more about maximizing Google Adwords by talking to the experts at InteractOne. Contact us before getting started on your next campaign. As consumers spend more and more of their time making purchasing decisions online, business owners are more focused than ever on strengthening their marketing strategy to increase their sales. Naturally, much of the emphasis is on digital marketing efforts to drive qualified visitors directly to their sites. Although the world wide web presents a massive opportunity for eCommerce growth, offline strategies shouldn’t be factored out of the equation just yet. Learning to market to all people, even those without an extensive internet presence, allows businesses to maximize marketing efforts. With that said, below are some offline marketing tips that inspire online sales. While not as old school as billboards or print ads, text messaging campaigns have become extremely important for eCommerce merchants. With the number of mobile phone users expected to surpass five billion in 2019, and with Gen X’ers, Gen Y’ers and Millennials being quite comfortable texting as a mainstream communications tool, it makes sense that text messaging has become an effective way to connect with customers. Texting campaigns allow business owners to create fully customizable calls-to-action in their campaigns and advertise to customers on-the-go. Merchants can highlight a new product or service, introduce new deals, or remind customers that a sale is about to end. This makes it easier for business owners to stay in front of their customers as they can keep them updated on their business and promote more sales online. It can be difficult for eCommerce businesses to generate online sales simply because potential customers don’t know you exist. These temporary stores are the perfect opportunity for eCommerce businesses to gain traction and increase visibility. Not only do merchants gain exposure, but they are able to connect with loyal customers and form new relationships face-to-face as well. Providing customers with coupons is another effective strategy to generate sales online simply because consumers are almost always looking for a deal. Additionally, people feel more urged to purchase a product or service when they know deals are only available for a limited time. Sending customers coupons creates a deadline for which they must purchase by which in turn inspires sales. Merchants can send customers coupons in the mail or via text to encourage customers to purchase from their eCommerce business. 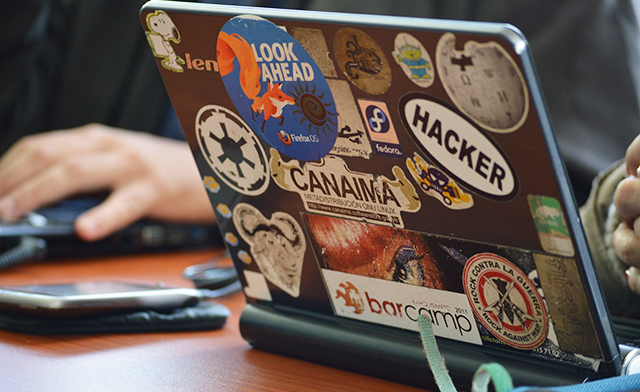 Gone are the days where sticker marketing solely meant long, rectangular bumper stickers. 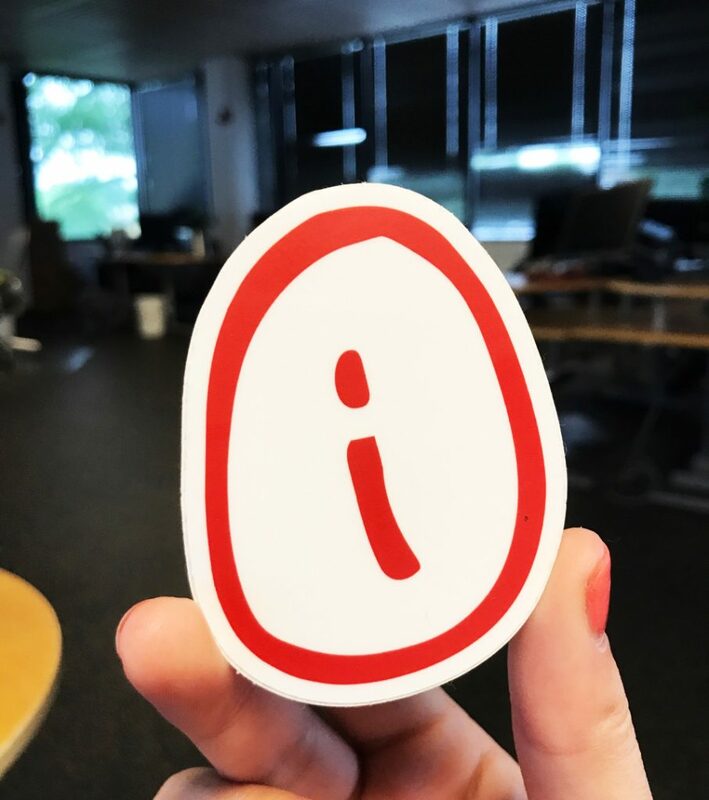 Now, promotional stickers encompass all shapes and sizes for all different surfaces: water bottles, phones, laptops, and many more. This low-cost, offline tool allows merchants to brand their company and amplify word-of-mouth marketing to drive sales. Recent studies even show that 90% of people trust word-of-mouth recommendations from people they know. Merchants should always strive to increase the visibility of their brand. In order to generate online sales, business owners need to stay on the mind of their customers and branded merchandise is certainly a great way to do this. Business merchandise can include items such as shirts, pens, and sticky notes, but can also to more innovative items that may be connected to the brand. Workshops are similar to hosting a pop-up shop in that eCommerce business owners can attract more people to their business. Additionally, workshops create the perfect opportunity to offer knowledge and practical experience. Merchants can use their office or rent a space to educate people on what their eCommerce business offers. For instance, if a merchant sells skin care products, they can educate individuals on the importance of maintaining a good skincare routine. This may spark the interest of potential customers and lead to more online sales. There are still customers out there that are not as tech-savvy as some might expect. Don’t forget about them- use some of these low-cost offline marketing tips to entice new customers and bring about enhanced brand awareness. InteractOne helps merchants build, maintain, and market their business for a better eCommerce experience. If merchants would like to know more about how to generate online sales via offline strategies or need additional marketing assistance, please contact us here. If someone does you a favor, it’s always a good idea to thank them—after all, you might want their help again in the future. When someone makes a purchase on an eCommerce site, they’re doing that merchant a favor in a way (by adding to their bottom line). So, did they receive a thank you? Every time a customer purchases something from Schwan’s (an online grocer), they get a certain number of points which they can redeem in savings off their next purchase. Schwan’s will also send occasional emails to remind every customer how much those points are worth— and urge them to return to their site to take advantage of the savings. In addition to loyalty points, discounts are a great way to thank repeat customers. Offering a percentage off the next purchase or other amenities like free or reduced charges for shipping are discounts customers will appreciate. Contrary to popular belief, consumers like promotional emails—especially when they come from companies they trust and whom they’ve given permission to email them. In fact, email marketing is a great way to boost revenue. When customers receive a promotional email suggesting products they need, they feel like the company remembers them. 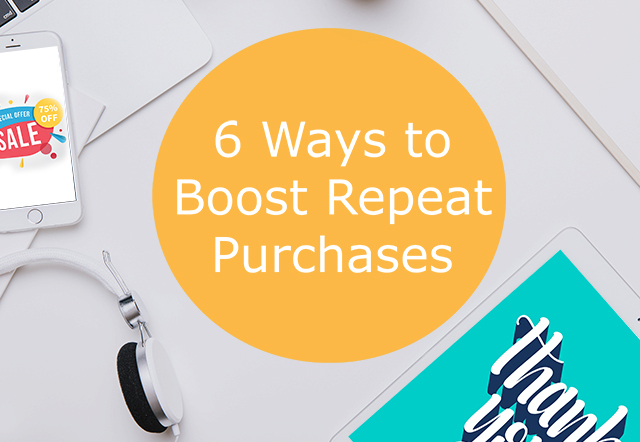 It’s as simple as reminding a customer they are due to reorder a certain item or suggesting products related to the one they just bought (for example, people who buy a battery-powered device might need batteries). As powerful as email marketing is, some consumers prefer to get information from companies in other ways. For example, a recent study by Epsilon found that almost 75% of consumers like getting direct mail more than any other communications channel. Be sure to follow best practices for direct mail design (like keeping text to a minimum and restricting a communication to a single message). Even if an eCommerce site is well-designed, there are bound to be occasional mistakes. Don’t wait until repeat customers register a complaint—send them an email which links to a page where they can state what they thought of their shopping experience. That way, customers can voice their opinion while also ensuring the continual improvement of an eCommerce site and its customer service. According to Baymard, almost 70% of all shopping carts are abandoned before a purchase is made—that’s a lot of lost revenue for businesses. There are many reasons for cart abandonment, from unexpected costs (usually those for taxes and shipping) to lack of trust. A smart tactic for turning abandoned carts into sales is to send emails reminding customers they didn’t complete their purchase and offer special discounts (like free shipping) for extra motivation. You can’t expect eCommerce customers to keep coming back solely because of good products and good prices. Those things help of course, but it’s still necessary to communicate with repeat customers and make it clear that you value them and will do what it takes to make sure they are satisfied. Fortunately, there are companies that have the expertise to effectively target existing customers. To learn more about the ways our email and social media marketing services can help you drive sales and grow your eCommerce business, contact us today. An online marketing plan is no longer optional; it is a necessary component of an overall business plan to succeed. With all the forms of digital marketing available, it’s no surprise that many businesses become overwhelmed at the complex, time-consuming work required to implement and optimize the right types of campaigns to contend in their industry. Not all businesses have the resources for a digital marketing specialist, social media manager, or a data analytics team. Fortunately, there are many tools available that simplify the various components of digital marketing. Social media plays an important role in customer research, content distribution, new customer acquisition, and even customer service. Merchants can use it to engage with customers, promote new products, and spread brand awareness. However, using social media takes time. A merchant needs to compose messages, post it at the right time of day, interact with customers, and manage multiple accounts between Facebook, Instagram, Pinterest, LinkedIn, and so on. 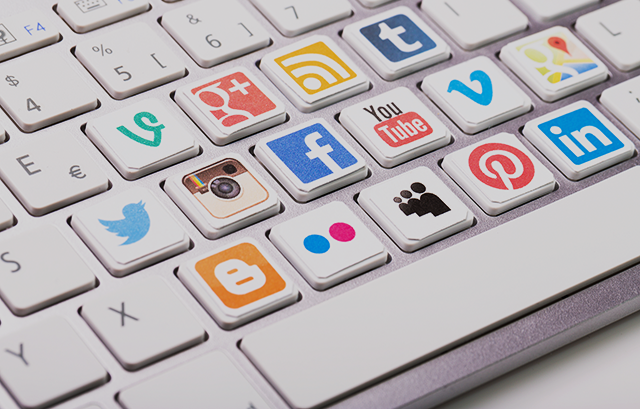 To make managing social media easier, a merchant can consider using a tool like Hootsuite. Hootsuite is a social media management tool that allows a merchant to schedule social media posts, track how people engage with posts, manage multiple accounts from one dashboard, and much more. Rather than switching back and forth between different social media accounts trying to do everything throughout the day, a merchant can get it all done at one time with this great tool. Another important component in marketing a business online is ongoing SEO. Using good SEO practices help a website to appear higher in search engine results, thus delivering an improved opportunity for more of the right site visitors. There are several aspects to SEO, among the most important is the health and crawlability of the actual site, known as on-site SEO. SEMrush is an excellent tool that can be used for both research and maintaining a site crawl campaign to assist with ongoing search engine optimization. It can be used for keyword and competitor research, as well as a checklist of necessary on-site improvements including, but not limited to, broken links, duplicate content, slow page load times, and broken images. SEMrush is our favorite SEO utility but there are several other valuable SEO tools available for eCommerce marketers to utilize. Yoast can be used to ensure keywords are being properly used on the website. Yoast is best known for it’s WordPress plugin, but they actually have a Magento extension as well. With it, a merchant can make sure to have the right keywords on the right pages, optimize site content, and make sure the pictures are formatted properly, among other things. Yoast also provides SEO training courses to learn best practices and DIY pro tips for managing campaigns on a budget. Finally, even for those who research keywords with SEMrush, optimize their site with Yoast, and make social media usage more efficient, merchants still need a way to tell how well those efforts are working. Hence the need for analytic tools to understand patterns of success or failure. BuiltWith can show what platform a competitor website is running, where it’s hosted, and what tracking snippets are in place, giving insight into what marketing tools competitors are using. It’s a great way to learn about common tools used in a specific niche and to find opportunities to expand. Google Analytics is a staple analytics tool used today. However, there are ways to utilize more powerful capabilities using Google Tag Manager and Analytics Enhanced eCommerce tracking. When properly implemented, Google Analytics will track traffic source, engagement metrics like time on site, time on page and bounce rate, as well as conversion rate metrics. Additionally, Google Tag Manager events can be set up to see in-depth data such as cross-device tracking, page scrolls, individual product add to cart rates, giving you better cart abandonment data, and more! There is a wide range of tools available to online marketers— this is only a glimpse of some of our favorites. The key is to start with a few of the essentials, master them, and then start exploring others. By doing this, marketers and merchants can learn which tools provide the most value, and which ones they prefer over others. If you’d like to learn more about online marketing tools that can help your eCommerce business, please contact us at any time. Social media has become a popular marketing tool for eCommerce businesses over the past few years. It’s a great way to connect with customers and share brand information without having to spend money on paid ad campaigns. An article from BigCommerce reports that for online stores, social media is critical for success in eCommerce: “Online stores that have a social presence have 32% more sales on average than stores that don’t.” Social media can boost sales, promote brand identity, and increase trust – but only if used correctly. Misusing social media may seem impossible; the bright blue “Tweet” button is easy to use and recycling company phrases seems easy enough to do. However, haphazardly posting content and sharing posts isn’t enough. There are some common social media mistakes that eCommerce merchants make and by learning how to prevent them, social media can become a valuable asset for any merchant. Below are three common social media mistakes that eCommerce merchants make and methods for prevention. For social media to be effective, communication needs to be a two-way street. Merchants can’t only post information about themselves such as new product announcements, current sales, etc. and hope that will satisfy followers. Interaction with customers, especially when they have a problem or question, is crucial for success. Many customers turn to social media when they are having an issue with a product or service to receive fast and courteous assistance. When customers are ignored or receive a delayed reply, it is likely for that customer to unfollow and do further damage on social media by spreading negative comments or reviews. People want to feel that they are being heard, so take their questions and complaints seriously. When running a social media account, make sure an employee is monitoring that account for complaints or questions and are able to take direct action in assisting any customer’s needs in real time. Proactive customer service is important for maintaining repeat customers and for building trust. Good customer service is not only a good business practice, but it also plays a large role in encouraging repeat customers. If customer needs are met and they have had a meaningful customer experience, it is more likely that they will continue to return in the future. An article by Nextopia states that “Trust impacts buyer decisions at every step of the purchase process. Specifically, trust influences the decision to visit your site, buy your product, promote your brand, and return to the site again. If they don’t trust you, visitors won’t do any of those.” In order to gain that trust, merchants must be credible in all aspects of their business, including social media. Studies indicate that fast response time on social media builds trust because it demonstrates a certain level of accountability that customers appreciate and view as good customer service. When a customer submits a complaint on social media, they expect it to be handled quickly. An article from Shep Hyken reports that 64% of consumers on Twitter expect a reply within an hour. That means that no matter the issue, don’t make excuses or try to ignore it. Take responsibility, apologize, and make it right with the customer quickly. To be successful on social media, it’s critical to understand the customer audience. A common social media mistake made by merchants is posting the wrong type of messaging to the wrong group of people at the wrong time. It’s true that the frequency for posting on social media isn’t always clear. Further, what works for one merchant might not work for another. For new merchants starting out on social, it might be tempting to post every hour in order to reach as many people as possible. Or, it might be difficult to get a post once a week if the staff is busy with other obligations. Ideally, both of these extremes should be avoided. Posting too often will likely annoy customers and turn them away as they grow tired of seeing repetitive content. On the other hand, posting too little will do the opposite and customers may forget about the business altogether. To start, try posting unique content at most 1 or 2 times a day. If people are regularly engaging, keep it up or consider increasing the amount. If posts are ignored, try scaling back or consider posting higher-quality content less frequently. It’s also important to test content and frequency out on different platforms. For example, what works on Twitter may not work on Facebook or Instagram. It’s helpful to do research on the target audience as well to establish which platform is best to spend time efforts. For example, for merchants targeting Millennials or the Gen X generations, statistics from Spredfast show that the two groups are more likely to share content on Facebook. For those targeting teens, Instagram may be the best platform with 53% of teens saying the image-based platform is the best place to advertise products. Further, age isn’t the only demographic to study. Pinterest has 200 million active users. Notably, 60% are female. Therefore, merchants looking to target the male population on Pinterest will need to think of a smart strategy for reaching them or consider a different platform. The type of content posted on certain platforms is worth considering as well. For example, coupons and offers have a history of being successful on Twitter with 84% of Twitter users noting that they use the platform to find deals. Finally, the purpose of social media for eCommerce merchants is to connect with customers on a personal level. However, being personal is hard to do if every social media post is robotic. People want to feel that they are connecting with another human being on social media. Customers are not interested in seeing multiple automated posts over and over again. To be personable, it’s crucial to develop a certain tone of voice for the brand on social media. In order to develop a voice, the first step is to figure out what that voice should be. Some companies take a cheeky tone. 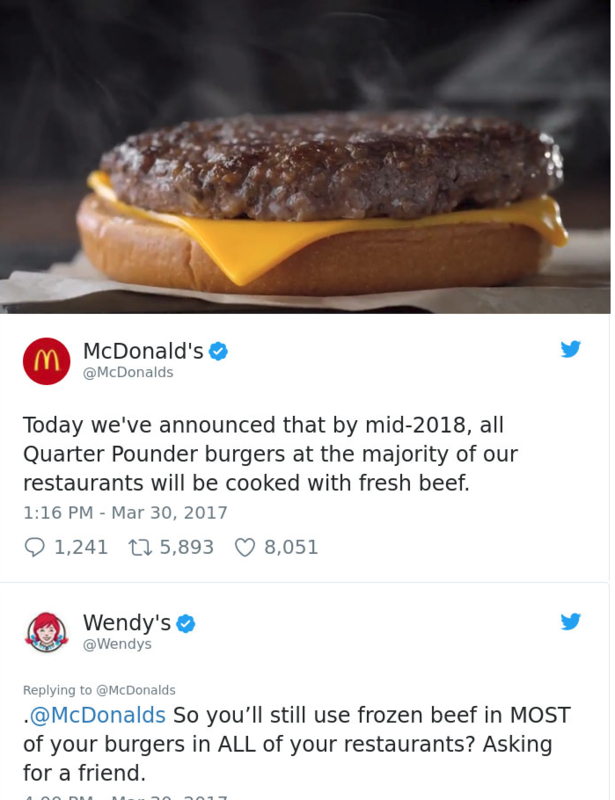 For example, Wendy’s the humble fast food chain, has received a lot of positive attention after a very noticeable change of voice on Twitter. The company started posting edgy tweets roasting their competition. It was a gamble that worked for Wendy’s. Many marketers are using an edgy tone to stand out from the crowds of larger competitors with more marketing dollars to spend. Wendy’s noted that their strategy is good-natured and fun but they don’t take themselves too seriously. In an interview with MarketWatch, Ken Kane, chief concept and marketing officer of Wendy’s stated that “We take food quality seriously, but we don’t take ourselves too seriously. That helps guide us to what the line is, what we should be calling out, and what are the types of things we should be staying away from.” Clearly, their 2.7 million followers agree with the updated tone. While the edgy brand tone worked for Wendy’s, it won’t work for everyone and that approach requires thought, serious wit, and strategy. Professional tones, playful tones, or even masculine or feminine tones all work as well for the correct audiences. Once a tone is set, there are some key ways to develop tone including reinforcing the brand’s beliefs, monitoring the audience’s responses, and injecting some of the company’s personality into every post. Social media is meant to be more relaxed and playful. Post lighthearted content and avoid having a rigid structure that every post must follow. However, even though it’s important to be personable and fun on social, keep it professional at all times. Unprofessional accounts warrant unsatisfied customers and in certain cases, may even be subject to viral criticism. Creating a social media presence as a business takes time and patience. Though social media mistakes can occur, the key is to recognize those mistakes and then work quickly to correct them and prevent them from occurring again. Mastering social media will not likely happen overnight, but the process is well worth it when taking into account the many ways it can be profitable. For more information on how to improve your social media efforts, please feel free to contact us or give us a call at (513).469.7042. Many merchants understand the importance of SEO – they know they need it, but they aren’t always sure how it works or why they have poor rankings. There are some common technical SEO issues that prevent Magento sites from ranking as high as they should and those issues don’t always require an SEO wizard to fix them. Broken links, long load times, and duplicate content should be addressed immediately in order to rank higher on popular search engines. Listed below are five simple SEO tips to clean up search engine optimization without requiring outside assistance. Eliminate any redirect chains where one URL redirects to another and another and another. It not only wastes server resources but also slows down page load time. Replace all redirect chains with a single rule that redirects from the target URL to the final URL, and ensure all old indexed URLs are redirecting straight to the new page. It’s also important to note that catalog management processes shouldn’t be contributing to this issue. If redirect chains are a recurring event, the management of products and categories may need some adjustments in order to fix the problem permanently. Resolve any missing or duplicate meta content in page titles and meta descriptions. Templates are fine for defaults, such as “Primary Keyword – Secondary Keyword | Brand Name,” but uniquely written page titles and meta descriptions can improve click-through-rates. Think of it this way: meta descriptions should explain a solution or answer to a question that users are looking for. Those few sentences should accurately advertise the information to the user in a clear and concise manner. Broken internal and external links do not bode well for any eCommerce merchant. In addition to creating a very poor user experience, too many 404 pages are indicative of a neglected site. Be sure that all internal and outbound links go to functioning URLs and are linking out to highly respected authority sites to increase the relevancy of the web content. Page load times are also an important part of the website ranking algorithm. If people have to wait even a few extra seconds, they may leave. Research proves this causes an increased bounce rate that hurts SEO ranking. One of the best ways to clean up the load time is by optimizing images. Resize and compress images before uploading them to Magento. Also, rename images using hyphens instead of spaces or underscores and keep it relevant to the photo topic. High-quality content should be found on every single page. Engagement rate should be as high as the amount of time visitors spend reading content. The more time they spend, the more positively it will impact SEO ranking. Delete any duplicate content and make sure the copy is catered to fit the audience’s needs; this commonly means avoiding overcomplicated jargon and shortening content. These fixes may be simple, but they have a considerable impact on search engine optimization. Learn more about search engine optimization and your Magento site by contacting InteractOne today. When outsourcing web development, choosing the right contractual arrangement is essential. A wrong decision can lead to tough consequences such as a major issue with project budget, quality, and timeline. Many merchants end up experiencing headache after headache without getting their projects completed. Most development partners offer one of two pricing model options: fixed-price or time and materials. Both models have their pros and cons, and depending on the project, one may make better sense over the other. 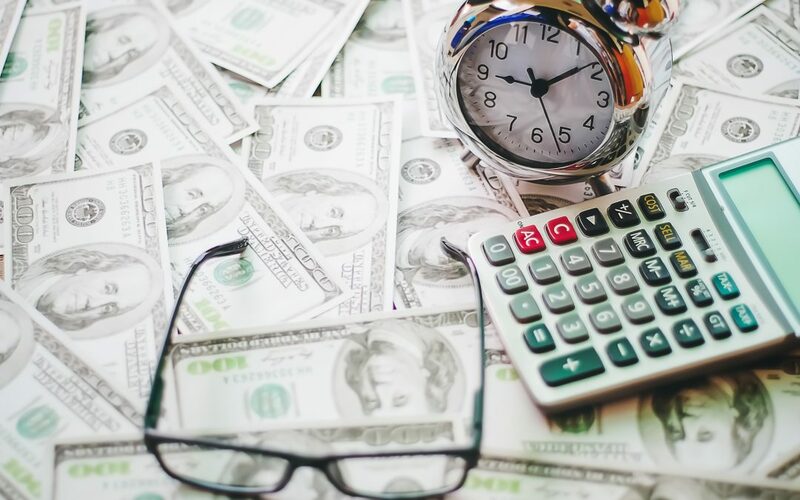 The following compares the two pricing models so merchants can better understand the difference between fixed-price vs time and material and why each has their time and place. A fixed-price agreement sets an agreed upon price for the completion of an entire project. There are two characteristics of this project type necessary for it to work. First, the parameters and requirements for the project are clear from the beginning. Second, the process for making scope (requirement) adjustments is very clear. Small or very repeatable projects work well with this model. Due to fixed-price projects being completed under clear requirements and set deadlines, projects are more organized and easily manageable. 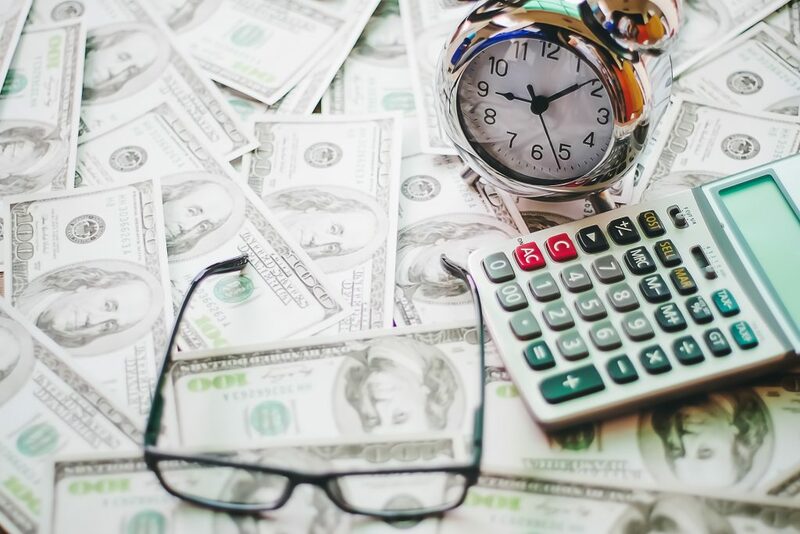 Generally, project payment timing is agreed upon ahead of time and based on the percentage of work completed, which requires minimal management from the merchants perspective when expectations are laid out. Further, day-to-day tasks are set from the beginning to ensure delivery and to meet deadlines. Perhaps the best part of fixed-price budgets is that there is little to no guesswork for pricing. Fixed-price contracts are predictable. With a fixed-price contract, requirements and set deadlines leave little room for surprises. Further, fixed-price contracts are generally budget-friendly. For many smaller eCommerce businesses, knowing the cost ahead of time makes it much easier to complete projects on budget. A fixed-price model leaves little room for flexibility which is essential for successful eCommerce development. Merchants may realize the original plan needs to be revised and edited. With a fixed-price agreement, scope changes can be complicated and costly to manage since they require much more time to review and process. Fixed-price development projects, by definition, are done on a budget. The developer or partner must complete the project within a specific timeframe. But even if the project does not have a strict time frame, it still benefits the developer to finish the project quickly to be profitable. Some developers may rush, take shortcuts or agree to projects without understanding the full scope and complexity. Lastly, if the final result is of subpar quality, business owners will need to pay additional fees to the current developer to fix the project, settle for the current state of the website, or hire a new developer. In fact, many fixed-price projects end up in a state of “abandoned in design.” Often, the scope of work turns out to be much greater than initially estimated and the developer is forced to walk away from the project. Generally, due to not having the resources to fix all the bugs resulting from the shortcuts taken to deliver the agreed-upon scope. A time and materials agreement generally involves an estimate from a developer or agency. The budget is not agreed upon ahead of time. Instead, the merchant receives a bill for an hourly rate for the duration scheduled by the developer. The final cost of the project is for how many hours it took the developer to do the work and the cost of any additional materials that were needed. There are many more advantages associated with the time and material model when building eCommerce websites. Time and material projects are still very custom and the template is not as repeatable as say, for example, building a house. Many would agree that a significant advantage of the time and materials model would be the flexibility of the process. As projects progress, objectives and needs often change. Further, when a merchant changes their mind during development, additional features can be improved. In other words, as the scope of the project changes and evolves, the development work can shift with it. For example, features can be added or removed halfway through a project. In general, the developer’s goal is to ensure the client is happy and the project is complete. With time and materials contracts, developers tend to not rush to the finish line hoping the job comes together. With time and material pricing, merchants do not have to go through an RFP or bidding process. Business owners can quickly interview a developer or agency to discover hourly rates, certifications, and experience. The time and materials approach will help save time and allow most merchants to begin immediately. Further, time and materials contracts should provide detail to include the time spent on each feature. Transparency allows both the merchant and the development partner to stay on the same page and working towards the final goal. Time and material projects tend to deliver more value per feature than fixed-price projects. Due to the enhanced efficiency of the time and materials development process since the change order process does not hinder it. Also, the quality of the initial code build is often higher on a time and materials project since the development team is not being pushed to cut corners. High quality leads to cost savings over time since there are less bug and performance issues to resolve. With a time and materials pricing model, merchants must be willing to be an active participant in the development process. At the beginning of the project, it is crucial to lay out necessary features, the vision of the project and any business issues that will need to be resolving in the final project. This type of communication provides the developer with a deep understanding of what the client needs to have at least a Minimum Viable Product (MVP) at the end of the project and allows the developer to provide feedback and suggestions for optimizations and functionality that the project could, or should, have. Then, over the course of the project, the developer will send regular updates about the progress of the project and require feedback from the merchant. While this aspect allows for flexibility and transparency, there will be a significant input and commitment expected from the merchant or client. With a time and materials pricing model it can be difficult to estimate what the final cost of the development project will be. In some cases, a merchant will require easily implemented features. For others, the project may be much more involved than initially anticipated. Initial estimates may change as additional features need extra development hours. Which is the Best Choice or Which Seems Like the Less Risky Option? Experience has shown us that for many Magento development projects that the time and material pricing model is often the best choice. Many times, fixed-rate contracts lead to a low quality finished product which creates a lower ROI and long-term bug and performance fix costs (technical debt). During the development phase of a project, the client is generally responsible for resolving any unexpected issues that arise that weren’t part of the original scope of work. Further, with a fixed-rate model, the developer makes a more substantial profit with fast completion. Quick completion undoubtedly causes a rushed job and cut corners. An unknown budget or even one with an investment range may seem daunting. However, if merchants partner with a trustworthy and experienced developer, the developer will provide regular budget updates and even agree to put a hold on work at the end of an hourly limit before project completion. Additionally, the lack of fixed-time constraints means that the developer can provide the best job possible given the agreed upon budget constraints. And then there is the time commitment. It is true that a time and material pricing model does require business owners to be heavily involved. This should be considered a good thing. Involved merchants can be sure that when the final product is complete, it will be exactly as required. While each pricing model for website development has its pros and cons, the best way to decide between the two is to base it on which one will best suit the needs of the merchant company and the format of the project. Contact us to learn more about our development processes and how we work with our clients. With ever-changing developments in technology, digital marketing is always evolving. Knowing where to allocate marketing funds while proving ROI is a challenge for many merchants. 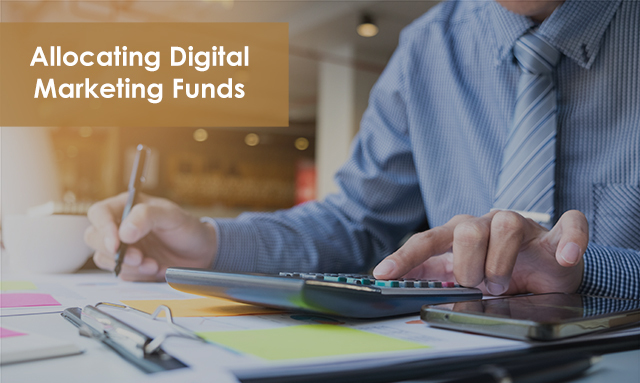 When planning a digital marketing budget for the future, it’s important to examine which strategies will create the best return on investment. A challenge that merchants and business owners face is choosing the right people for the job, allocating the right amount of resources for each area, sticking with the plan over the course of its lifespan, and determining whether or not the strategies were successful. We’ve cultivated some helpful advice for planning a digital marketing budget with tips on how to start planning, ways to start building a budget, how to measure performance, and when to ask for help. An ROI focused marketing plan should always center around business goals. Make sure these goals are clear-cut and actionable. Further, It’s important to make sure that everyone is on the same page for determining business goals and objectives. As objectives are defined, start to plan specific approaches for each area. Analyze percentages, statistics, and dollar amounts on previous marketing spend, to help visualize what is needed to achieve those goals. Consider what resources are required for each activity to be successful. Keep in mind that in-house efforts still require an investment of time, research, and other resources that may not be immediately clear. During the planning phase, be realistic about goals and what can be accomplished to achieve them. Create a timeline and break certain aspects of the initiative into manageable stages. For example, decide what needs to be completed for the next quarter, or by the second month of the fiscal year. Take into account the size of business, and the amount of work that can be accomplished in-house. ROI is an essential metric used to figure out which campaigns and strategies were most successful. By tracking ROI, it is possible to see which areas of marketing are working and which aren’t. When crafting a plan for the next few months, think about which strategies have been most successful in the past. Analyzing past efforts is an excellent opportunity to learn from past mistakes. Using tools like Google Analytics can be helpful to examine trends over a specified time, whether it’s a month, a quarter, or year over year. Traffic and conversion rates are measurable but how is branding measured? Companies with healthy traffic and hearty conversions over an extended period can likely conclude that branding is doing well also. There are several additional tests and areas for optimization to measure. For example, analyzing the best time to post on social media. Are there certain times of the day or days of the week where customers are more active on social? eMail is another area to monitor. It’s essential to research industry benchmarks and learn when is the best time and day to send eMails. Analyzing key landing pages and performance is necessary as well. Try split-testing landing pages and product pages. While there are plenty of sources out there that claim to know the best answers for these areas, sometimes it just comes down to what works best for a particular business. When planning a budget, think about the current size of the company, and its growth trajectory for the future. Look to create a marketing strategy that can be flexible with the growth of the company. Next, scope out competitors in the industry. Think about what is needed to compete, or stay on top. Establish the top priority for the business at the moment. Keep the target customer top of mind. Different audiences respond differently to marketing efforts, and there is no “one size fits all” marketing plan that will work for every business. There are, however, specific areas that can better structure a marketing plan to make sense in today’s digital world. Three main categories drive a marketing plan and budget: branding, traffic, and conversions. In an article from The Good on marketing budget allocation, they describe the three critical factors and how they work together. Stating that “If one fails, they all fail, but branding is where the process begins. The more people know and like about you, the easier the rest of the marketing flow will be.” All three are essential when it comes to creating a plan that will accomplish the end goal. Branding creates a distinctive style that is apparent throughout all aspects of a digital presence – social media, websites, and advertising. When people mention an industry, well-known brands come to mind first. It’s essential to establish an audience and customer following by providing informative, helpful content, and a deep well of useful resources. Traffic, both paid and organic, is measurable with Google Analytics but can be difficult to increase. 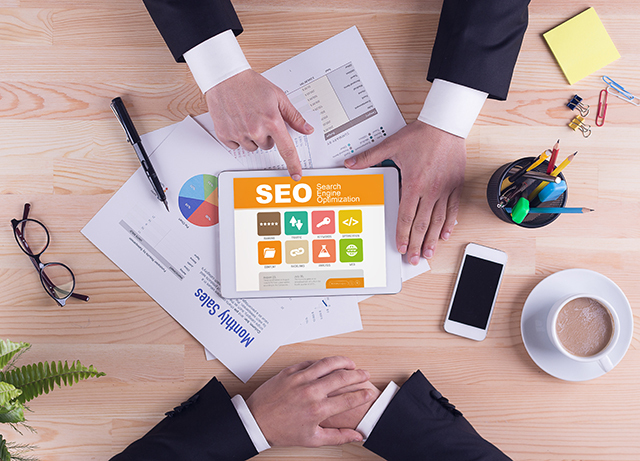 An SEO strategy is vital for attracting a steady stream of organic visitors. While paid traffic requires upfront costs, organic traffic has hidden costs as well. Creating attractive SEO friendly content requires expert care, creativity, and some tech-savvy. Companies with measurable branding and a steady traffic flow who are unable to turn visitors into conversions are experiencing a problem. It is essential to make the path to purchase or ecommerce shopping experience easy, intuitive, user-friendly, and fast. Customers require exceptional customer service and reliable products that solve problems. Even for merchants with digital media pros already on the team, remember they’ll have to take time out of their already-busy work days to invest in a new marketing plan or strategy. To see real, measurable success across the board for digital marketing, merely doing SEO or PPC “on the side” isn’t going to cut it. Analyze the current team to assist with efforts. Are there enough hands on deck to carry out a marketing plan to its full extent? If not, consider outsourcing efforts to the pros. An experienced digital marketing partner can help in both the planning of a strategy, the execution, and will offer different levels of services depending on what’s required. Also, there are plenty of tools available to help marketing teams with their efforts. Tools like SEMrush allow merchants to perform competitor analysis. SEMrush can show which keywords competitors are using to drive both paid and organic traffic. A competitor analysis is a great way to learn what others in a particular industry are using and then offers ideas to get ahead. Tools can be helpful, but only if utilized to their full potential. In an article from Neil Patel on marketing budget spend, he discussed how he has seen clients spend a small fortune on tools that weren’t being used to their full potential or not used at all. While marketing tools are great, some are costly. It’s important not to throw money at the problem and hope tools work. Many services offer free trial versions or free versions for small businesses that can grow with a team. Be sure to monitor all tools used and remove any that aren’t helpful or productive. Another plus for outsourcing marketing efforts to a partner is that they will usually have the knowledge, access to and experience with an array of tools to assist clients. A marketing partner and even third-party tools can help spend time and resources more effectively while automating a lot of marketing efforts. Contact us to learn more about optimizing a marketing budget or on how to create a new marketing strategy for Search Engine Optimization, Pay-per-click, or Conversion Rate Optimization.